With the Delta tunnels hearings underway, as well as the update of the State Water Board’s water quality control plan for the Bay-Delta, there is much on the horizon for California water in the coming years. At the San Gabriel Valley Water Forum held last week in Pomona, the closing keynote panel discussed the challenges and opportunities for California water going into the future. The panel featured Jeff Kightlinger, General Manager of the Metropolitan Water District of Southern California; Brent Walthall, the Assistant General Manager with the Kern County Water Agency, and Jim Peifer, with the City of Sacramento; it was moderated by Tim Quinn, Executive Director of the Association of California Water Agencies (ACWA). Moderator Tim Quinn began with some opening remarks to set the stage. “But if this morning was about accomplishments and the things we have done, this panel that you’re about to hear is about the challenges that still lay before us. The Delta, out of control regulations coming from both state and federal agencies – those are things that we have not yet managed today as well as we have done other things and you couldn’t ask for a better panel to address the topic. “That’s now before the State Board on a relatively straightforward matter to modify their water rights permits to allow them to take water from a different place. There are 85 parties. We don’t do anything small in California water; there are 85 parties to the proceeding; 68 of them have filed formal protests. 29 of those protests have been filed by ACWA members, City of Sacramento amongst them, who take their water upstream of the state and federal pumping facilities, so it’s pretty clear that peace has not broken out quite yet. “I’m Brent Walthall and I work for the Kern County Water Agency. 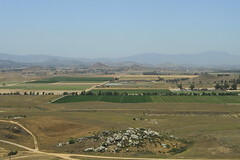 We’re located around the areas of Bakersfield and we provide agricultural water to about 700,000 acres of farms, and also municipal water to the city of Bakersfield and the surrounding urban areas. Audience question: I think we see agency managers trying to work together across the state, and more and more we see that everybody’s trying to solve the problem. My question is, will politics undo the solutions that you all are trying to come together on, and if there’s a risk of that, what do we need to do to try and avert that? Audience question: What about the ballot?